People have been sailing around the globe for hundreds of years - as a job. Recreational sailing, especially to the extent people do it today, is not that old. Nevertheless, it is full of inspirational tales of great adventurers. And there are many different takes as well, from travelling the world over facing terrifying storms to being caught in a life raft. With this post, I will introduce some of them to you. Joshua Slocum, a passionate sailor born in 1844, was probably the first person to sail around the world on his own. He certainly was the first one to write a book about it - Sailing Alone Around the World. The book is not only a great insight into sailing in the old days, but a still life of culture and society at that time. 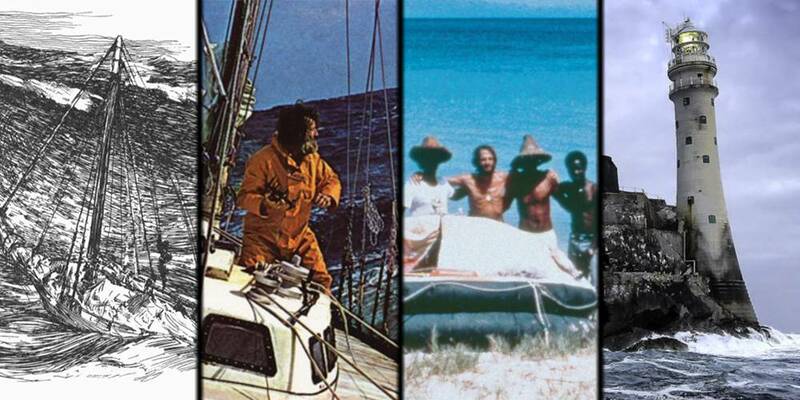 A single-handed sailor travelling the world was unprecedented. For this reason, the ways in which he was welcomed, wined and dined are unmatched with any sailing experience you can have today. The fact that the circumvention took him three years confirms it must have been pleasant (in comparison, modern racing yachts can circumnavigate the world in 45 days). I mapped out his route here. What is also impressive is that he did all of his travels without an engine, auto-pilot or any advanced navigation tools. He measured latitude using the sun and longitude almost exclusively through dead reckoning. This is a nice contrast to our age, where most people need at least multiple solar panels, huge batteries and sat phones to consider their boats Ocean worthy. Because of its age, the book is available for free. You can get it here. Bernard Moitessier is a symbolic personality in the sailing world. In 1967, a man called Francis Chichester had just completed a solo circumnavigation of the globe and become famous across the United Kingdom. As a result, the Sunday Times decided to hold the Golden Globe Race - a race around the globe, single-handedly and, unlike previous circumnavigations, non-stop. This seemingly impossible challenge was met by a small number of contenders. Among the favorites was Bernard Moitessier - a very experienced French sailor. While other contestants had all the equipment on board they could get, Moitessier did not even have a VHF radio. Instead, he passed news to other ships only using his slingshot and metal tubes. His book The Long Way describes his adventures and his thoughts during months of solitude. He finds comfort in his loneliness. Others do not cope that well with that feeling: Competitor Donald Crowhurst goes crazy and later drowns himself (Deep Water is a great documentary about this). After rounding all three Capes and already being on his way back to England, Moitessier surprises the world: He decides to abandon the race to “save his soul”, expecting his wife and children to understand. He continues his way around the capes and, after being one and a half times around the world, finally ends the voyage in Tahiti. You can check out his route here. 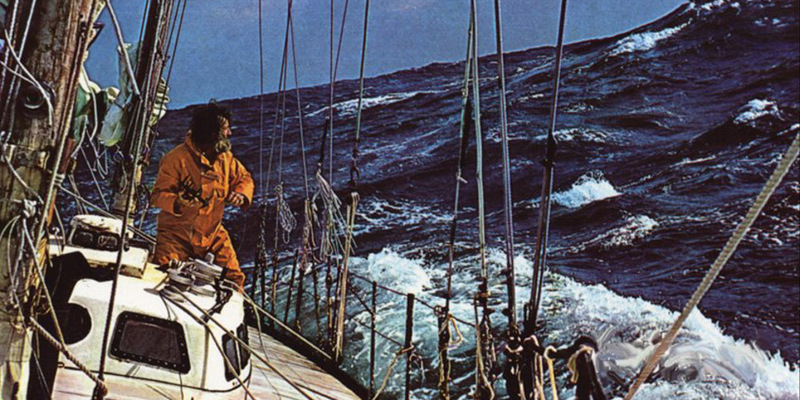 The combination of extreme adventure and the deep and colorful personality of Moitessier makes his book a must-read for every aspiring sailor. Bonus: In 2018, the 50. anniversary of the race, it will take place again. Steven Callahan is famous for a different kind of feat. In 1982, Callahan was crossing the Atlantic in his 6.5-meter (21 feet) sailboat when he heard a loud bang. Immediately, his ship started taking on large amounts of water. He was forced to prepare the liferaft and abandon his vessel in a hurry. Back then, SAR (Search and Rescue) transmitters did not use satellite communication, so he had to hope for a ship to rescue him or a plane to catch his emergency signal within 72 hours of the incident. Neither happened, so Callahan drifted along the Atlantic for weeks, catching fish, fending off sharks and keeping his gear working to get water. Multiple times, his equipment failed catastrophically and he was on the brink of losing hope and dying. 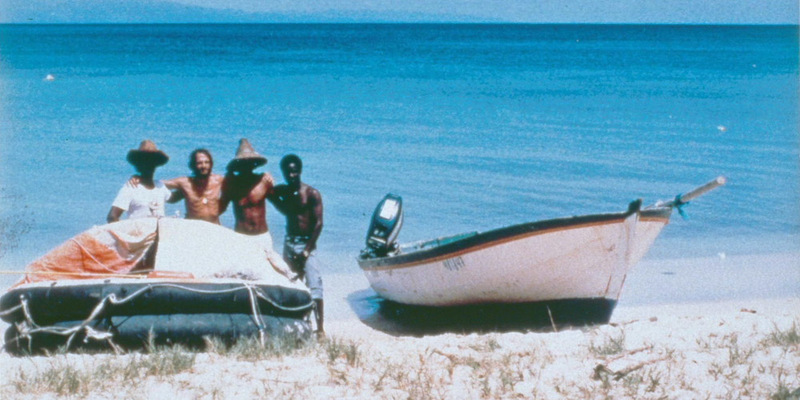 Finally, on the 76. day, he reached a Caribbean Island and got help from some fishermen. He did more miles of the Atlantic crossing in his liferaft than on his boat. While sailing can be a lot of fun, one has to prepare for the hard times and be capable of dealing with extreme situations. Steven Callahan did this with excellence and wrote about it in his thrilling book Adrift. He was also kind enough to supply me with the picture above (from his site). In 1979, the Fastnet race, a traditional british race over 600 miles (route), took place as usual. Hundreds of boats participated, people were motivated and the weather was supposed to be perfect for sailing. Little did they know that a small weather anomaly, undetected by weather stations until it was too late, would pass them and wreak havoc upon the race. Once the storm hit, different boats tried different strategies to cope with the weather. Some fared better, some worse, yet another group got rescued by SAR teams and, unfortunately, a number of people died due to their lifebelts ripping apart or other reasons. To this day, it remains the biggest non-war SAR event with almost 4000 people being involved. 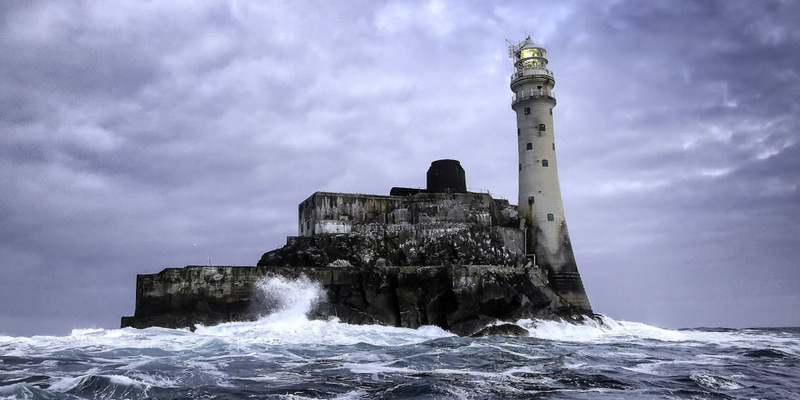 In his book Fastnet: Force 10, Jean Rousmaniere reflects on how the event took place. He assesses how the weather evolved, interviews a number of different boaters as to what measures they took and how these helped (or didn’t help) them. 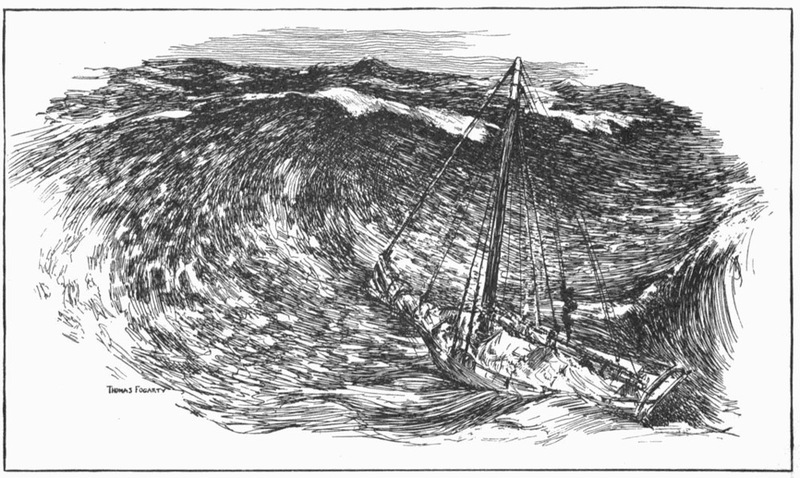 It is a fascinating case study into storm sailing. I could barely take my eyes off the book, hence it deserves a position in this list. I firmly believe the most exciting story you can tell is your own. Whether it is your first storm experience, a tough passage or a docking nightmare, you will have experienced the conditions, the atmosphere around you and your own tension. It is the material for the best story you can tell. Take these stories as inspirations or cautionary tales for your own adventures. Go out, gather some experience and share it with the world! And don’t for get to let me know if you have a story that should be added to The Map.